Ask a Finn class dinghy sailor and he will tell you: It’s all about the mast. The Finn dinghy carbon mast is most probably one of the most important elements in achieving good performance in a regatta. Finn sailors know it and spend numerous hours –and money- in trying to find the optimum mast for them. Having a very strict class specification, the mast builder has a lot of R&D and work ahead of him in order to construct the fastest mast for a sailor. That is, to construct a personalized mast,which fits the “sailing profile” of the sailor. The story kicks off at the early stages of the construction. 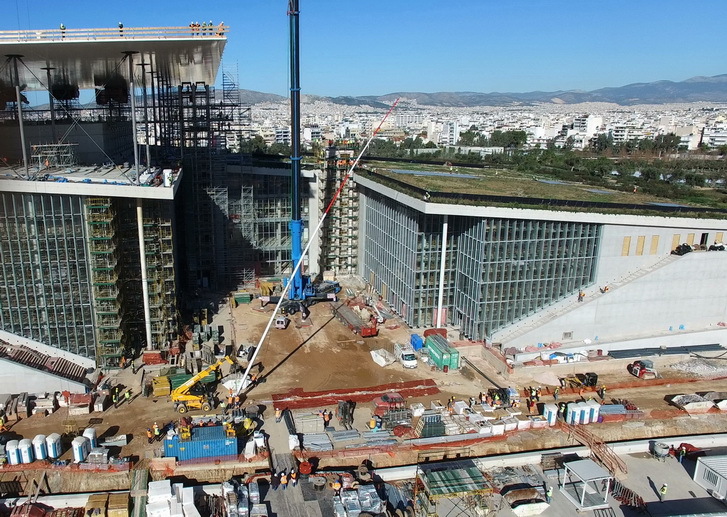 Gianni Botteon, a project manager at Salini&Impregilo, has been appointed with a huge task: To build Athens’ new Cultural Center under the designs of the famous architect Renzo Piano. A huge project involving lots of stress, due to the very short deadlines, and a lot of effort due to numerous details, all of which needed Gianni’s attention. Details that in the end, make a difference. Trying to maintain a work-life balance, Gianni joined Yacht Club of Greece’s Match Race Academy to sail during the weekends. Being Italian, shortly after, he teamed up with another 2 foreigners working in Greece (another Italian and a Spanish). They started practicing as a team and getting better as time went by, they started participating in graded match race events. -Akis the building that I have to build...It is supposed to have a mast on top. - A lot of buildings have a mast. And? -Yes this is a huge one. I am talking about a 40 meter high mast and has to have a certain flexing specification! On top, no support at all. It has to stand there without support. Where am I going to build such a thing? -40 meter? Without anything to hold it? Looking around us there were many boats with carbon masts. Thus, Akis’ suggestion, over beer, has been easy: A mast-maker would easily have a mould, long enough to construct the mast. Nevertheless, even over beer, the engineering problem has been obvious: a mast without support, 10 times taller than that of a Finn dinghy, required to bend with a specific way would take a lot of effort to build. As this would be a complex project, common language would be a benefit in getting things done. Over the next days, Akis provided Gianni with a contact in Italy to kick off a discussion. And that’s where a journey in innovation begun: Enrico Franchetti ofMaxSpar has been appointed to build this huge mast. Max Spar installed a new system for the construction of carbon masts in 2000. This had initially a length of 65 metres with a maximum working pressure of 6 bar at a temperature of 120°C. 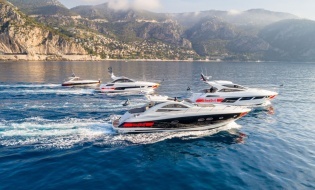 In 2008 they lengthened the autoclave to 65 metres for the construction of 2 one piece masts for two 50 metre yachts. MaxSpar’s product is laminated on a male mould, compacted and cured in a pressure chamber at 6 bar plus the depression of the vacuum bag.This technology is derived from the aeronautical industry and guarantees a finished product of maximum lightness and elevated mechanical characteristics which exalt the properties of carbon. Their technological challenge is to build single piece carbon masts, even of large dimensions by manually wrapping the carbon around a male mould to obtain a hand-manufactured tapered monolith without joins with maximum compactness obtained from a piece worked in a heated autoclave.The construction of carbon objects in an autoclave is considered superior to other types of manufacture because the laminates remain more compact and the possibility of finding air bubbles in the laminate is greatly reduced.Choice of materials can also greatly improve the finished product. So, the technology and the knowhow were there and readily available. Nevertheless, it took tons of R&D and several hours of simulation to understand the behavior of the huge mast that was about to be built. On top, the mast had to meet other characteristics as well: It had to be UV protected to withstand the long hours of Greek sun, it had to be lightning proof in case of a storm and of course to withstand the strong force of the wind. At a cost of course: The mast, cost in total 300k. Not much though, compared to the total budget of the project. Knowing the cost and effort it took to build and install it, one could easily ask: What is it made for? What does it do? Does it have a practical meaning or is it just a design element of Renzo Piano? The answer is that the mast is there to point the direction to which the wind is blowing. Now, Gianni, an engineer, would have solved this by installing a simple flag and have saved the budget. But really, is there a price tag in art? Isn’t Athens richer by having a unique architectural masterpiece available? Aren’t Greeks richer just by having a brand new cultural center? 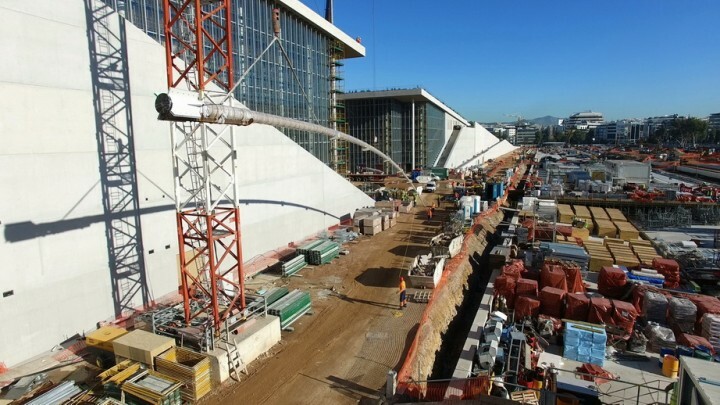 The construction of the mast of the Stavros Niarchos Foundation Cultural Center has been realized with the same technology of the construction of carbon masts for sailing boats. It is now standing there, proud, on top of the building, pointing the direction towards where the wind is blowing. The whole building, and the mast in particular, is now a landmark and is visible at a great distance far in the Saronic Gulf. It is visible where the sailor’s action takes place and most regattas are being sailed. It won’t be long before smart sailors would seize the opportunity and predict wind shifts when racing just by looking at the mast.